Today I had no idea what to write about. It is currently 3:53pm and these are the first words I am writing. I wanted to do news, but there wasn't many good news stories. The Red Sox won yesterday, Lost was pretty good, and South Park is in the midst of delivering its 2-part powerslam on the Family Guy. I am not left with much to discuss, but I will not skip a day...that would be lazy and unprofessional. So I'm just gonna start spitballin'....heeeeere we go. Ok this may or may not sound crazy, but to me it really isn't. Most people go about their daily lives, trying to maintain their own direction and keep their own lives on the right track. In doing so, many things are taken for granted; some small, some big. In today's world people rarely get much free time for thinking, or pondering "What if" questions. Now I'm not talking about "What if I had $100 million dollars," questions. I mean people don't take the time to question what they see or hear. Everything is taken at face value, and those values are provided for us through growing up, through school and through other experiences. Fortunately for me(and maybe you), I do have the time during the day to ponder anything I want. Two hours per day in a car leaves your mind open to contemplation of every variety. Recently, I have been thinking about what we take for granted as being facts in our physical world. For instance, when we see a story on the news about something in outer space, we take for granted what the news story tells us. However, if scientists come out and make claims about another planet, how do we know that its true? Nobody has been off this planet and past the moon, at least to the publics knowledge. So how do they know they are right? Scientists tell us that water is the key to life, but what if other life forms evolved without the need of water? That is a perfectly plausible situation. Just because life on Earth is water, oxygen and carbon based doesn't mean that somewhere off in the galaxy there aren't beings made of helium. Science usually puts its theories and hypothesis through a battery of tests and experiments to test its validity. Meanwhile space science, although new technology improves its testing every day, is not subjected to the rigors of normal science. It involves a lot of guess work, and a lot of those guesses are based on science on Earth. I suppose thats the best we can come up with at the moment, so as humans we just roll along with it. Space science isn't really what was on my mind. What I'm talking about are things on Earth that scientists cannot explain even with their best guesses. I'm talking about ancient art forms and scientific techniques that are either extinct, or were discredited by the science community. The question is this: How can a group of people (scientists) discredit something with 100% certainly when they cannot even fully explain the laws that govern their own field? For those that don't know, science has two major ways of describing things: Relativity and Quantum Mechanics. Quantum Mechanics deals with nature on the atomic and sub-atomic level, while relativity and special relativity handles the rest of it. Basically, Q.M. handles the small stuff, S.R. handles the big stuff. The problem is, these theories CANNOT work together, leaving scientists with two theories that work most of the time, but do contradict one another. See what I'm getting at? The science community cannot figure out one unified theory; they just have two different theories that work together up to a point, then are useless. There is something called String Theory, which looks to unite these two. If they can ever figure that out, it would unlock many, many doors of knowledge that we can only dream about. I have read a book on string theory, but I will not spend any more time talking about that. What I want to get into is this: If science can't explain things in the natural world with 100% certainty, how can they claim to Disprove things in the natural world with 100% certainty? Anything in the world that can't be explained scientifically is almost always shunned and looked upon as a waste of time. Yet throughout the history of civilization, there have been many groups studying different forms of science and art that do not exist today. What would possess people to study these topics with no chance of gaining from it? I know ancient people didn't study these things because there was no tv to keep them entertained. Before I go further, I just want to say that I do not know THAT much about everything I mention in here, but I do know enough. For instance, you may have heard of Alchemy. Alchemy ,which dates back to Ancient Egypt, is the study of techniques pertaining to the transmutation of common metals and minerals into more valuable ones, such as gold or silver. Also, Alchemists searched for cures to diseases, and tried to discover ways to prolong life. They believed the four main forces on this planet were Fire, Water, Earth and Air. The biggest aspiration for any early Alchemist was discovering the "Philosopher's Stone," which was supposed to be a liquid that made its user young and extended their lives. That sounds far-fetched, and to our knowledge nobody was successful. But would we really know if someone was? 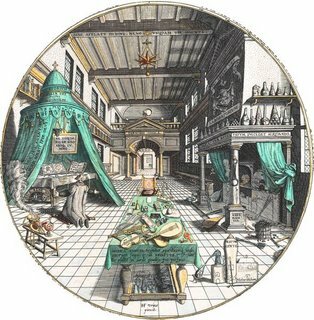 The records of history are so incomplete, so cobbled together and so mysterious that I have no problem believing that alchemists really were able to attain some of their lofty goals. There is also something that I just encountered today (which led to this blog) called Gnosticism. 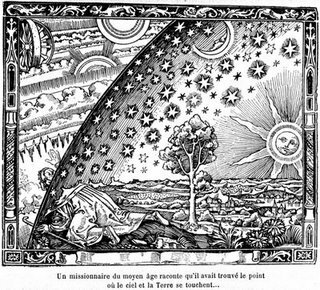 I do not yet understand exactly what it is, but it is related to alchemy and other schools of thought and learning from the early centuries. I guess Gnosticism encompasses many different sects of learning and religion, but always depict the battle of light vs. dark in a mystical way. These systems of beliefs may be ancient, but I feel like they are still important...or could be if used correctly. I don't want to try to explain this one anymore because I don't have a firm grasp of the total concept, but you can click on the link to read about it. This sort of thing is dismissed by science as mysticism, but why can't mysticism exist? I refuse to believe that the only forces influencing us on earth are physical and testable. Mystery Schools of Ancient Egypt, for example, were the schools attended by early Egyptian royalty. These schools allegedly held information about the creation and early civilization, and its teachings were passed through sybolism, math, and possibly magic. Problem is, we will never know what was taught and passed down because human ignorance erased this knowledge. I mean, unless we find a temple buried under tons of sand, all records were destroyed when the Library of Alexandria was allegedly burnt down. 600 hundred years of human knowledge in over 700,00 volumes, all gone for no reason. What knowledge did this place hold? Nobody knows how much or exactly what was lost, but it is safe to say the world would be a very different place if that knowledge had endured. I hope at the very least my ramblings have been interesting. Perhaps they turned you on to something you didn't know exist, or will lead you into exploring these topics, along with others. I just wanted to make the point that no matter how much we learn as humans, we haven't even started to scratch the surface. It is folly to think that there we can explain everything we see. The world is too big and too incredible to be classified, studied, tested and proven everytime. If somone came on the news and said that magic exists, I would believe it. We have no idea what the human mind is capable of, or how it interacts with the intangible forces of the world. Perhaps flicking a wand and saying the right world while concentrating on the right thing can produce something we would never dream of. All I'm saying, is that nothing is impossible. Until science can get its own world together, it cannot assert its will over the unexplained.